A virtual exhibition realised by the Maribor Theatre Festival, the Ljubljana City Theatre, Novi ZATO. Institute, the National Theatre Museum of Slovenia and the Slovene National Theatre Drama Ljubljana. The virtual e-xhibition Maribor Theatre Festival 2012 allows the e-visitor to browse through three »sections«. In the first section we present images connected to The Storm, selected as the best performance of the Festival (photos from the curtain call after the performance on the Maribor Theatre Festival and the traditional morning discussion about the performance) and a short TV segment featuring Igor Samobor, the recipient of the Borštnik Ring 2012. The second section offers an overview of photos and videos from the rich theatre opus of Igor Samobor, the recipient of the Borštnik Ring 2012. 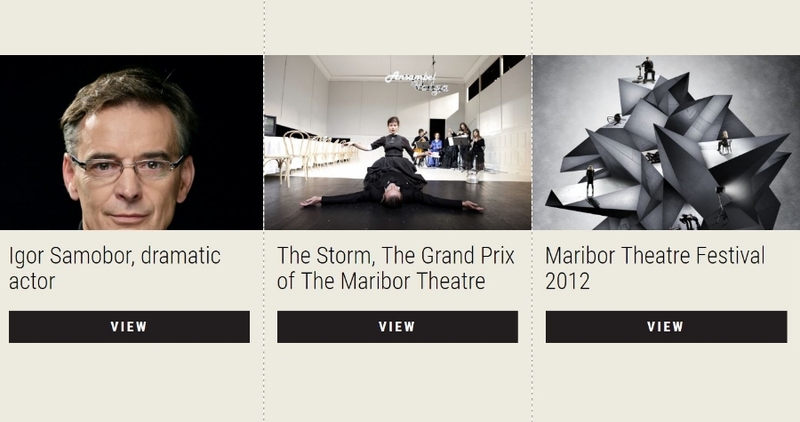 The third section is dedicated to the big winner of the Maribor Theatre Festival 2012, the production The Storm. Here, e-visitors will discover photos, costume sketches, set design drafts, and the theatre programme related to this outstanding production. In this section, more inquisitive e-visitors can even read a selection of reviews of the performance.